On Sale Now! Save 9% on the Torin Big Red Hydraulic Stubby Bottle Jack, 12 Ton Capacity by Torin at The Mirror Project. MPN: T91207A. Hurry! Limited time offer. Offer valid only while supplies last. 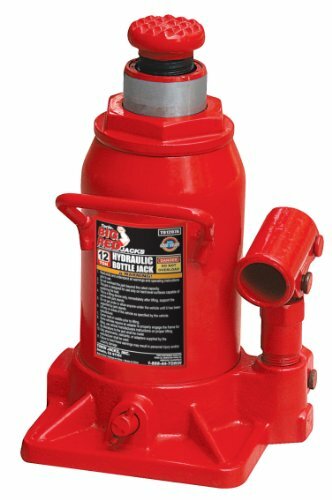 Torin Jack Stubby Bottle Jack - 12 Ton This Torin Stubby Hydraulic Bottle Jack 12-Ton lifts a 24,000-lb. load from 7-1/2 inches to 11 inches high.